The Bing Partner Program hopes you're off to a promising and profitable 2019! We'd like to bring you up to date on some exciting program changes we've implemented, to help ensure that our partners are empowered to excel this year. The Bing Partner Program is designed to help our partners and their clients exceed their goals. We do this by offering opportunities for growth with contests, trainings and account team support, and by recognizing partners for their achievements, creativity and leadership through awards and joint marketing. Half of Bing’s business flows through agencies and technology and channel partners, making them a vital part of our vibrant community. When we focus on growth, support and recognition, we're in the best position to elevate our partners. Thanks to the hard work and dedication of our partners, the program has seen tremendous growth since its launch in November 2016. The Bing Partner Program is now present in 20 countries with 1,900 enrolled partners. We’ve accomplished so much together in just two years and truly value our partners’ feedback. As a result of partner input, we've made some important updates to the program. The program now operates on a calendar cycle to better align with how our partners operate their businesses. Tier status for current and prospective partners will be based on the fulfillment of program requirements each year. The open enrollment period for Select and Elite tiers will now take place from January 1 to March 31, while enrollment in our Partner tier will continue to remain open year-round. Engage with Bing sweepstakes: An opportunity for Bing Ads clients to win exciting prizes by participating in an annual global sweepstakes run from the U.S. between January 1 to March 1. Earn entries by attaining Bing Ads accreditation, generating new accounts, or joining the Bing Partner Program. 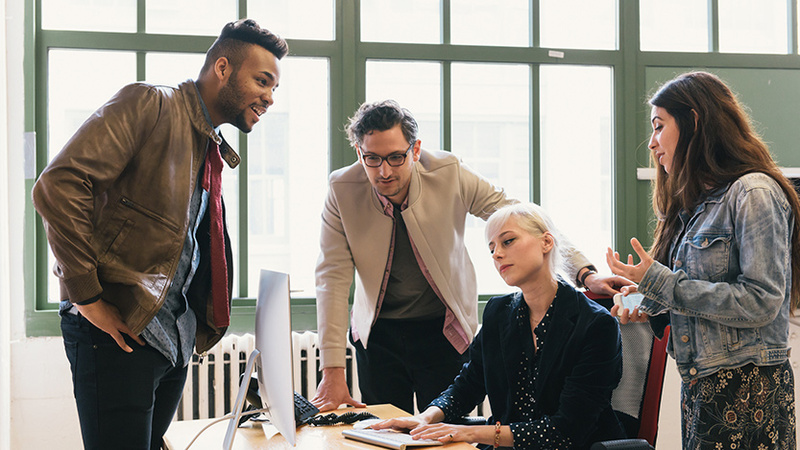 Bing Partner Program community: Connect with other partners and the Bing Ads team and stay informed about product offerings, program updates, and business insights in this LinkedIn group for existing members of the Bing Partner Program. Annual Bing Partner Program Webcast: Our first ever annual webcast exclusive to all enrolled partners. Hear from leaders of the Bing Ads team as they highlight learnings, discuss their vision for the future and offer useful advice on how to make the most of your investment in Bing. The Bing Partner Program will continue to evolve based on your feedback and engagement. We value your partnership and hope these new benefits take you one step closer to achieving your goals. Existing partners seeking more details about these program updates can find them on the Bing Partner Program website, or by contacting your Bing Ads representative. For those not enrolled and interested in learning more on the program, we encourage you to apply today or contact your Bing Ads representative. Here’s to a successful 2019 together! Get the latest Bing Ads product updates and industry insights delivered to your inbox. I will receive information, tips, and offers about Bing Ads. Privacy Statement.